Dr. Bryce Milam is a 1982 graduate from Western States Chiropractic College in Portland, Oregon. He is also a graduate of the Spine Research Institute of San Diego, the American Academy of Manual and Physical Medicine, and is a certified member of Cox Technic, one of only seven certified in the state of Oregon. He started the clinic with a vision to help others and become a rock in the Parkrose community. Over the years his clinic has grown and now shares this vision with Dr. Jackie Cashion, Dr. Daniel Capitano and Dr. Evan Halbert. 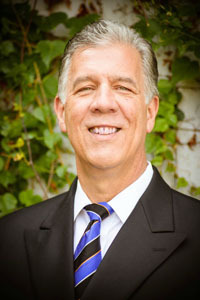 Dr. Milam is the proud father of four children and one grandchild. In his spare time he enjoys swimming, fishing, watching football and of course playing his drums. Be sure to ask him about famous bands he has opened for and played with during his musical career, you will not be disappointed! Dr. Jackie Cashion completed her undergraduate studies at Northeastern Oklahoma State University in Tahlequah, Oklahoma. She earned her Doctor of Chiropractic in 1984 from the University of Western States in Portland, Oregon. She went on to complete post graduate studies in sports medicine, a Masters Program at the Spine Research Institute, studies in Cox Technic, Flexion-Distraction adjusting, and a Botanical Medicine program. 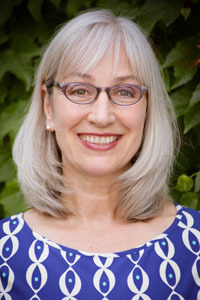 She is one of seven doctors certified in Cox Technic in Oregon. Dr. Cashion enjoys spending time with her family, long distance cycling, cross country skiing, hiking, reading, cooking and gardening. 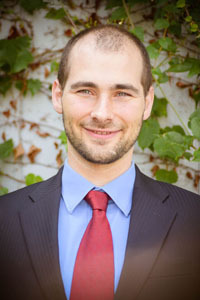 Dr. Daniel Capitano grew up in the greater Portland area. 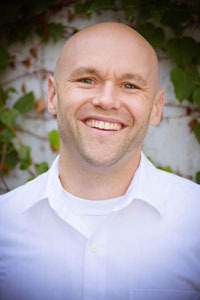 He graduated from Western States Chiropractic College in 2002 and has been working in the Portland area ever since. He has been a part of the Parkrose family for over 12 years. He enjoys treating a wide variety of conditions ranging from sports injuries to motor vehicle accidents. He focuses on rehabilitation and stabilization exercise, and enjoys talking to his patients about fitness and nutrition. He uses many different tools and techniques including Cox Technic and Graston to help people on their path to health and healing. The most important thing to him at work is his patient’s well-being. He has two beautiful daughters and a lovely wife. They enjoy many activities together including camping, hiking, rock climbing and being outdoors. They enjoy spending many of their weekends in Central Oregon at Smith Rock. Dr. Capitano has many hobbies including blacksmithing, metalwork, woodworking, remodeling projects, reading, gardening, cooking, rock climbing, and nearly anything that has him working with his hands. Ask him about what he’s been up to and he will be delighted to tell you all about his most recent adventures and projects. Dr. Halbert graduated from the University of Western States in 2015 and has been working with our team ever since. He is one of the small group of local doctors certified in the Cox Technic and enjoys working with people for conditions like motor vehicle and workplace injuries, sciatica and disc herniation, stenosis, headaches, sprains and strains, and conditions of the extremities like tennis elbow, rotator cuff injuries, and sprained ankles. He also enjoys discussing rehabilitation exercises and dietary choices. Dr. Halbert is passionate about helping people and his creative hobbies include music, Argentinean tango, and board game development. He also enjoys spending time at home with his amazing wife.